Don’t miss two unusual free exhibits about Knoxville history on UT’s campus. 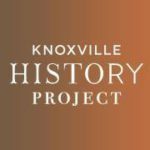 Take advantage of the summer lull on the University of Tennessee’s campus to witness two very interesting exhibits about Knoxville history. “Fish Forks and Fine Furnishings” is at McClung Museum. The eclectic display of housewares and “consumer culture” offers a glimpse into the late Victorian era—America’s “Gilded Age,” ca. 1870-1900—but most of the objects on exhibit come from Knoxville sources, many of them from the collections of the founders of the museum: John Webb and Ellen McClung Green, who were young during this era. You may enjoy trying to stump your family members with the exhibit that invites visitors to guess the use of each of several dining implements. It’s there until Aug. 27. McClung Museum is open Monday to Saturday from 9 to 5; Sunday from 1 to 5. By the way, on Friday, July 21, at 11:30 a.m., McClung curator Cat Shteynberg, will be giving a free talk about the exhibit at an appropriate location, Westwood, 3425 Kingston Pike, perhaps Knoxville’s best-preserved late-Victorian home. Westwood is the headquarters of the vigorous preservationist nonprofit Knox Heritage. Their “Lost and Found Lunch” programs are held in the long room designed in 1890 to be Victorian artist Adelia Lutz’s studio. She painted there for 40 years. Joining Shteynberg in the presentation will be Kyle Schellinger of UT’s Theater Department. A simple buffet lunch is free. Parking is available next door at the Laurel Church of Christ. From UT’s McClung Museum, it’s just a short walk away across McClung Plaza to Hodges Library. There you’ll find “Lights, Camera, Action,” an unusual exhibit celebrating Knoxville’s heritage in film. The compact but wide-ranging exhibit shows real artifacts from the lives and careers of multiple locals who once lived in Knoxville and made an impact on the silver screen. Several of them had associations with the university. Clarence Brown, a UT (and Knoxville High) alumnus, was a successful and influential director during Hollywood’s Golden Age, straddling the silent and sound eras. 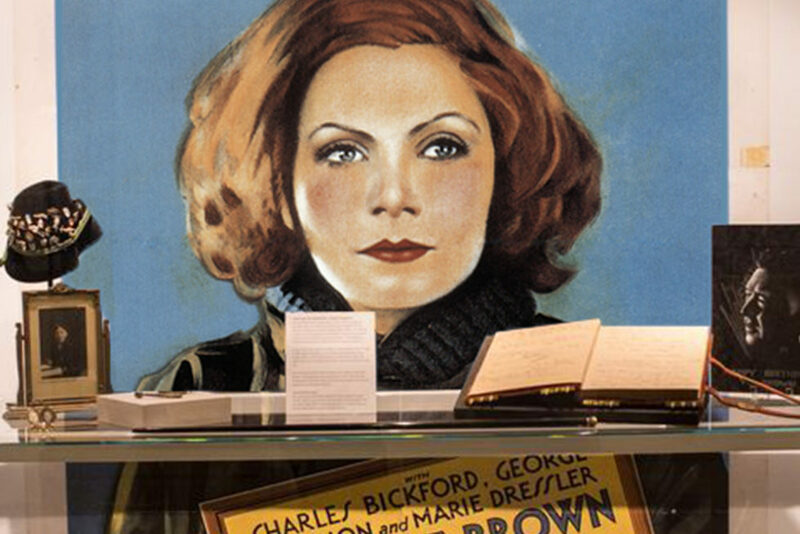 Brown (1890-1987), who’s credited with technical innovations in film as well as discovering stars including Greta Garbo, grew up in the Old North / Happy Holler area. As a generous elderly alumnus, Brown endowed the university’s theater that bears his name. Alex Haley (1921-1992), a West Tennessee native who lived in the Knoxville/Norris area in his later years and often lectured at UT, is represented here with an original manuscript for Roots, the bestselling book that became one of the most popular television series in American history. Also on display is a Mandinka drum Haley acquired while doing his research in Africa. Author and Knoxville native James Agee (1909- 1955) was both a movie critic and screenwriter in his lifetime. His posthumous memoir, A Death in the Family, has inspired four different films, one for cinemas and three for national television broadcast. UT has many of Agee’s original manuscripts. Actress Patricia Neal (1926-2010) was another graduate of old Knoxville High, where she began her remarkable career as an actress, which led to dozens of major motion pictures and an Oscar for Best Actress (in 1963’s Hud). And there’s the original script for Quentin Tarantino’s Pulp Fiction, which mentions Knoxville several times, perhaps in homage to his birthplace. The maverick director was born here in 1963. Be sure to experience the amazing interactive exhibit, a large touch-screen display with some clips from these motion pictures, including the startling UT-campus setting of A Walk in the Spring Rain (1970), starring Ingrid Bergman. The exhibit is there near the UT Special Collections department, and is available to view every day until 10 p.m., until late August. Featured Photo: Film icon Greta Garbo, in this poster for Anna Christie (1930), preferred to work with Clarence Brown, the longtime Hollywood director who became a benefactor to his alma mater, the University of Tennessee. Brown left many of his personal artifacts to the UT’s Special Collections, which organized this exhibit at Hodges Library.